For me, a box of Kellogg’s Corn Flakes brings to mind memories of many visits to growers in our cornfields and long conversations with proud multi-generational farming families. I visited many farmers and worked with numerous partners as a member of Kellogg’s Sustainability team, and today, as a brand marketer. I am proud of our commitment to farmers as part of Breakfasts for Better Days, our global purpose platform. Over the next nine years, we’ve committed to supporting the livelihoods of 500 thousand farmers—and last year alone, we helped nearly 60 percent of those farmers—nearly 300,000 in total! When I look at a box of Corn Flakes, I see a food filled with the care and support our employees and partners place in nurturing people and the planet through the Kellogg’s Origins™ Sustainable Agriculture program with projects worldwide. For years, Kellogg has worked closely with the Centro Internacional de Mejoramiento de Maiz y Trigo (CIMMYT). 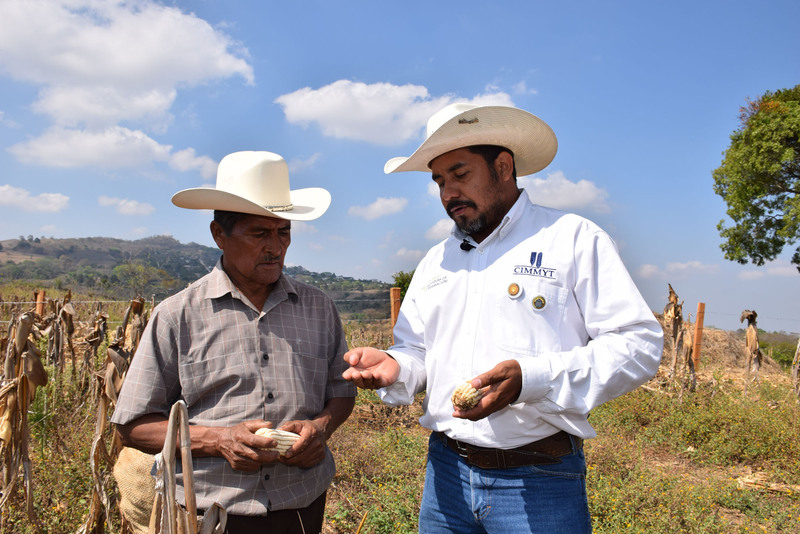 Based in Mexico, CIMMYT works throughout the developing world to improve farmer livelihoods and foster more productive, sustainable maize and wheat farming. Through this longstanding partnership, Kellogg supports sustainable agriculture and enables access to nutritious food made from sustainably grown ingredients. Everyone benefits from this alliance – the dedicated farm advisors, the smallholder farmers, the farming communities, companies like Kellogg and consumers receiving nutritious and responsibly sourced foods. Today we have a four-year responsible sourcing project with CIMMYT that is helping us develop a sustainable corn-sourcing model for Kellogg’s foods in Mexico. We’re also working to reduce food loss by helping small- and medium-size farmers. These efforts are important and contribute to our overall corporate commitment to create nearly 3 billion Better Days. This work also aligns with our 2020 Sustainable Commitments, which are outlined in our 2017-2018 Kellogg Company Corporate Responsibility Report, Nourishing Families So They Can Flourish and Thrive. The report spotlights a full decade of our leadership in corporate responsibility, and outlines the many ways we’re working to nourish with our foods, feed people in need and nurture our planet, all while living our founder’s values. Our foods touch many people—and our reach extends far beyond the table—from corn farmers to the millions of families around the world who enjoy Kellogg’s Corn Flakes. I’m proud of our efforts to nourish the potential of the people along the journey with our foods, and our company’s ongoing dedication to foods and brands that matter.